We know that many of you order for gifts this time or year, or for your own holiday knitting! To make sure you get your goodies on time, please take note of the last order dates below. Our standard shipping is Royal Mail 1st Class, which takes an extra day or so during the busy month of December so please keep this in mind if you choose not to upgrade. Please choose Tracked Shipping during PayPal checkout to give your parcel the best chance of reaching you on time. Please note that this is not a guaranteed service, but is significantly faster than standard Airmail during the festive season. Austria, Belgium, France, Germany, Iceland, Ireland, Luxembourg, Netherlands, Norway, Portugal, Slovenia, Spain, Switzerland – your last order date is Saturday 15 December. Canada – Unfortunately, due to continued delays at customs, international parcels to Canada are being delayed for up to 8 weeks. 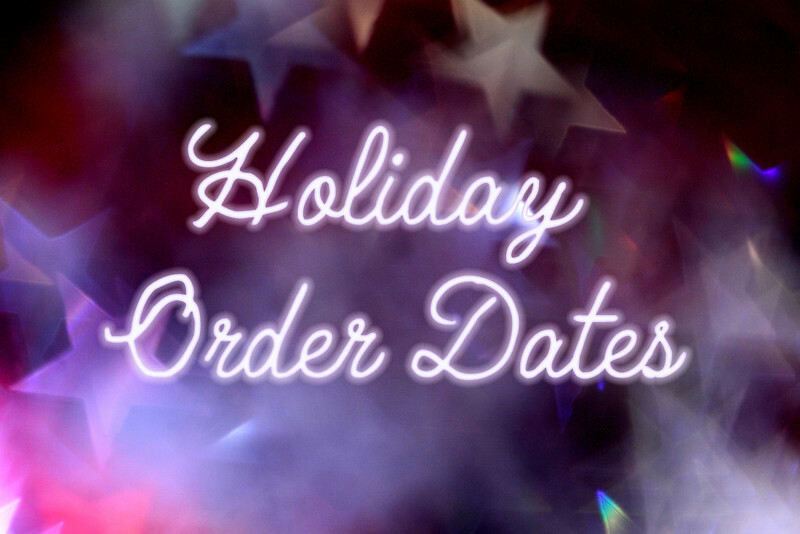 It is therefore highly unlikely that your order will reach you before the holidays. * Delivery will be attempted, but requires someone to be present to sign for the parcel.